Cuba continues to stay a bit out of the tourism spotlight, so it’s no surprise that many foreigners hold some misconceptions about Cuba as a travel destination. It’s illegal for Americans to travel there; The food is terrible; It’s dangerous, There’s no WiFi — the list goes on. Want to know the truth about traveling to Cuba? Read below for clarification on the most common misconceptions about visiting Cuba, and answers to your top Cuba-related travel questions..
During my recent travels through Cuba, I found the country to be warm and welcoming, safe, beautiful, and accessible to tourists. I found the restaurants to be fresh and tasty and the accommodations to be lovely and beautifully decorated. But much of my pre-Cuba internet research suggested that the opposite would be true. I’m hoping to shed light on some of the most common misconceptions people have about traveling to Cuba — misconceptions that often prevent foreigners from visiting this beautiful, hospitable, and vibrant destination. This article (and it’s counterpart, 9 Common Misconceptions About Traveling to Cuba: Part 2) will answer many of your Cuba travel questions and concerns. 1) The food is terrible. Believe it or not, but this is the topic about which some unnamed persons chose to pick a fight with me. Not the human rights issues, or the questionable political regime, or the controversial American embargo on Cuba (all valid issues to raise about my recent trip to Cuba) … no, it was about the food. Apparently, some visitors have been so deeply disappointed in Cuban food that claiming I enjoyed it was an utter offense. Well, I’m standing by it. I’ll say it again loud and clear: I. Loved. Cuban. Food. As a disclaimer, it’s absolutely true that local residents, who make around 40 USD per month, cannot afford to eat out at the hip and tasty restaurants that I regularly visited on my trip, and the scarce produce and meats available to them are generally poor quality. But when I travel, I typically eat at restaurants, food stalls, and homestays rather than buying ingredients to cook at home. So, in terms of the quality of food that I ate while in Cuba, I can honestly say it was delicious. In Havana, I found the juiciest tacos on the freshest tortillas at Lamparilla 361 Tapas y Cervezas, the most flavorful BBQ empanadas at Al Carbon, and a pulled pork sandwich that I still dream about at El Cafe. My casa host in Vinales cooked up some of the most flavorful, tender chicken I’ve maybe ever tasted in my life, and I couldn’t believe some of the variety and flavor infusions I saw on (and ate off) the menu at Sol Ananda in Trinidad. Plus, most food in Cuba is functionally organic. Impoverished farmers can’t afford pesticides and foreign food products can’t easily be imported, so the local produce and meats aren’t been chemically treated or injected with hormones like you’d find in the West. 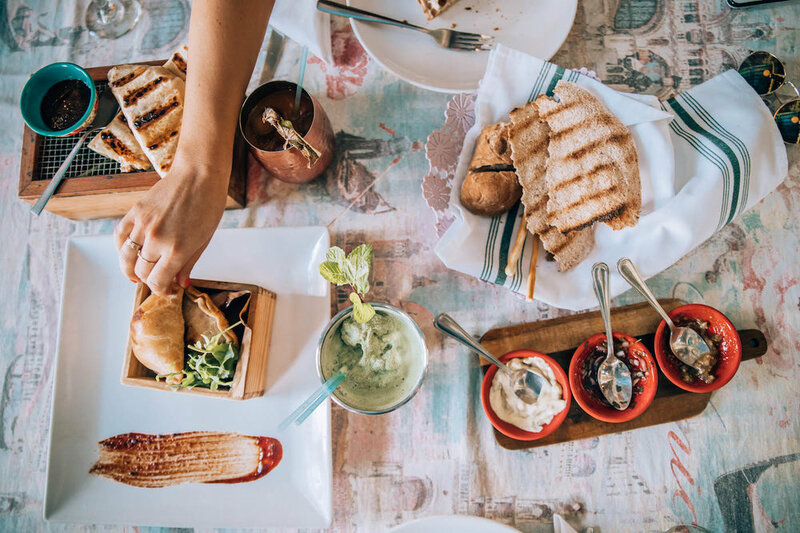 As a tip, be sure to do you research in advance, reading up on restaurant and accommodation reviews, and you’ll be sure to find plenty of delicious and fresh meals while visiting Cuba. 2) I’m American; traveling to Cuba is illegal. Although it may come as a shock to learn that the the 1962 United States embargo against Cuba is still alive and kicking, it’s actually no longer illegal for Americans to travel to Cuba, contrary to popular belief. Americans cannot travel to Cuba on a “tourist” basis, and instead need to plan a visit that falls under one of the approved “categories” of travel. This can be accomplished by traveling with a tour company that ensures compliance with U.S. regulations (I don’t recommend this), or by creating an itinerary that meets the “support for the Cuban people” category of travel (a much better option). Generally speaking, the regulations are vague and leave some room for interpretation, and are rarely enforced. When I re-entered the U.S., I wasn’t asked a single question about my time in Cuba — it was shockingly simple. Expect to have full days and some restrictions as to how and where you can spend your money, but for the most part, you’ll be able to enjoy the country just like any other traveler (with the exception of days spent lounging on the beach sipping mojitos). Your trip will need to be more focused on learning about culture, supporting privately-owned businesses, and communicating with locals than on personal leisure. But hey, I’ve always found that kind of travel to be more rewarding, anyway. Plus, no visa application is required in advance of your trip! For most major U.S.-based airlines, simply arrive at the airport, go head to your gate, and buy a 50-85 USD visa card (flights vary between airlines) right there on the spot to fill out on the plane. 3) What a charming blast from the past! It’s true: the crumbly buildings with an air of faded colonial wealth; the colorful mid-century American cars speeding through the streets; the hodge-podge of antique furniture, mismatched silver flatware, and dusty chandeliers — it all lends to Cuba’s touristic and photographic appeal. And, indeed, Cuba is a kind of time warp. Following the U.S. embargo of the 60s, Cuba stopped receiving many Western imports and had to learn to maintain the “antique” cars, furniture, and architecture without modern tools and replacement parts. Being in Cuba often does feel like being transported back in time, and it’s only natural for a foreigner to find that fascinating (not to mention highly picturesque). It’s okay to love the old architecture which generally spits in the face of our modern, functional, aesthetically-lacking Western concrete jungles. It’s okay to admire the colorful antique cars that look like a bag of Skittles exploded on the streets, especially when our 21st century Western cars all seem to look exactly the same as one other and astoundingly boring. It’s okay to appreciate the presence of locally run restaurants and cafes GMO- and hormone-free ingredients, and to love not seeing a Starbucks or McDonald’s on every corner. But do so with awareness of the reality. The truth is, many (if not most) Cubans would love to have a McDonald’s available to them. Ask around, and the need to maintain rickety old cars with makeshift tools and parts is exhausting, and they’d gladly trade fun colors for more functional, cost-effective modern grey sedans. Definitely appreciate the beautiful, antique details of Cuba, but at the same time, please don’t ignore the reality: much of this “charm” is due to poverty, a lack of access to Western imports, and tight government restrictions. It’s not nearly as charming or entertaining for the locals as it is for tourists. So enjoy the beauty of it all, but be sure to mentally balance the competing realities and maintain some sensitivity and awareness while in the country. Violent crime is extremely rare in Cuba, and gun violence is virtually nonexistent. In fact, according to the World Bank and United Nations Office on Drugs and Crime, the country has the third lowest homicide rate in the Western Hemisphere, behind Canada and Chile, and dramatically lower than neighboring tourist hotspots like Jamaica and the Bahamas. Tourists are particularly safe, as locals know that the economy heavily relies on tourism and the government is likely to hand out much harsher penalties for those who bring harm to foreign travelers. Although it’s safe to assume that much of the crime statistics in Cuba are underreported (in fact, state-run newspapers don’t even include a crime section and the government doesn’t publicly release crime statistics), it still is, overall, a very safe place for foreigners. Even muggings and theft are very rare, but are more common than violent crime. So, just as you would anywhere, be mindful of your belongings and aware of potential scams on travelers with foreign wallets. Be particularly aware of jineteros (hustlers) who speak excellent English and appear extremely friendly (often offering to help tourists with tours or to buy cigars) but actually are professional swindlers. Women are likely to be excessively cat-called and harassed, unfortunately, which was annoying and disheartening but never threatening. Even when walking around late at night, the streets were generally buzzing with other pedestrians, and despite feeling periodically objectified, I never felt unsafe as a young woman. I hope Part 1 of this article has helped clear the air on some of your concerns, questions, and misconceptions about traveling to Cuba. Read Next: 9 COMMON MISCONCEPTIONS ABOUT TRAVELING TO CUBA: PART 2. Any other questions or concerns about traveling to Cuba? Let me know in the comments!